Got this yesterday on my inner forearm. 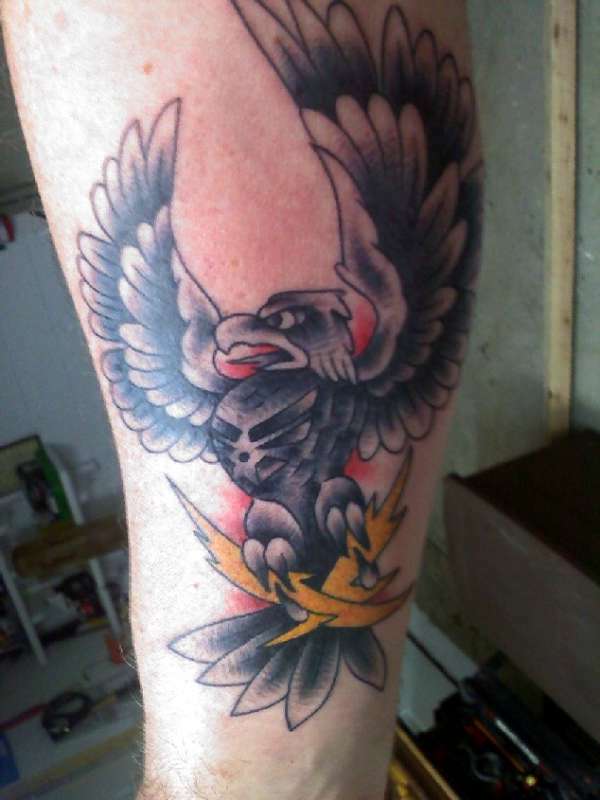 Old skool eagle with Air Force crest on chest and lightning bolts representing electronic communications. I really like the old school style of this one! I generally like tattoos with birds, I have a swan tattoo myself. Love this. I have a soft spot for the air force. My grandfather was career air force. It's good work also. Great detail. Turned out great. Love the little pops of color. Great work!